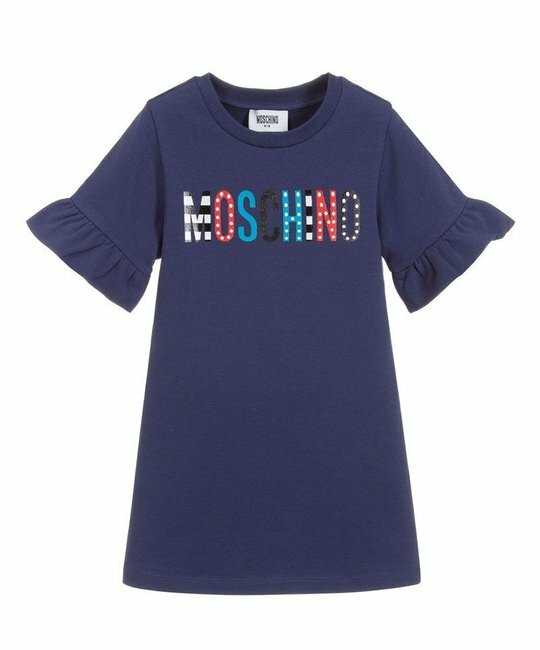 Moschino soft cotton navy jeresy dress with multi-colour branded detailing and embellished ruffle 3/4 sleeves. 95% Cotton, 5% Elastane. Made in Portugal.